The Neighborhood Series of drawings captures the fleeting moods of West Philadelphia as it’s transformed by the influx of growing businesses, new residents, petty crimes, and trope characters. It represents a platform for communication. Livingston hopes it encourages people from different walks of life to exchange ideas and learn about each other. 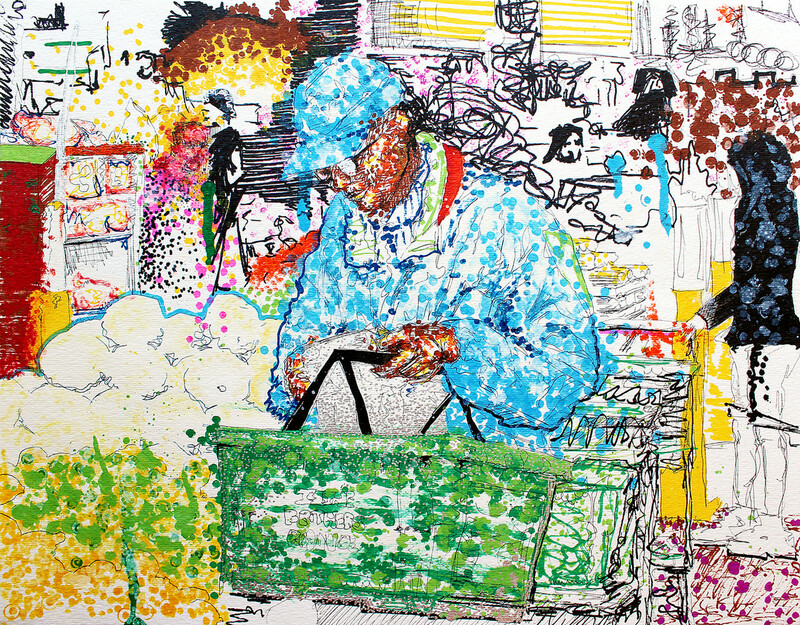 The portraits are colored in with sharpie paint markers that drip and splatter with the fusions of vibrant colors. Livingston used thin lines to illustrate how close we are connected and purposely omitted a background setting for some of the figures to promote viewer interaction in the sense the viewers imagine a personal narrative to match the character on display. Her art is reflective of her observations and perceptions. To Livingston, it’s how she connects and builds strong relationships with people. It’s how she interacts with the world.